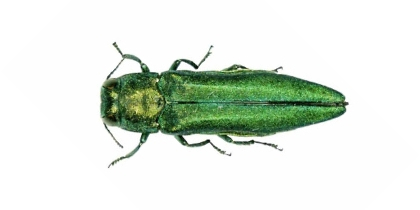 The Emerald Ash Borer was first identified in the United States in Detroit around 2002. The insect is a small emerald green beetle, approximately 1/2 an inch in length. The Emerald Ash Borer is devastating the ash tree population in the eastern and midwestern United States. It has already killed several hundred million ash trees, and will continue to decimate our ash tree population. Found in Philadelphia in 2016, Emerald Ash Borer will wipe out all of the city’s ash trees over the course of the next five to ten years. The Spotted Lanternfly is a plant hopper native to China, India and Vietnam and introduced in South Korea and Japan. 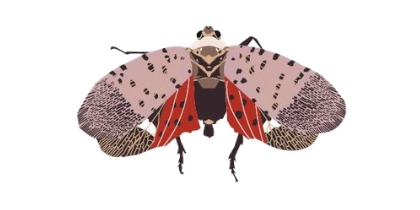 In South Korea, since 2004, the Spotted Lanternfly has been known live on more than 70 tree species. 25 of those tree species also occur in Pennsylvania, including grapes, fruit trees, and hardwood species. In our area, this pest poses a significant threat to Pennsylvania’s more than $20.5 million grape, nearly $134 million apple, and more than $24 million stone fruit and $12 billion hardwood industries.